At home or on the go, DIRECTV is your source for the best in video entertainment, and is available no matter where you live. 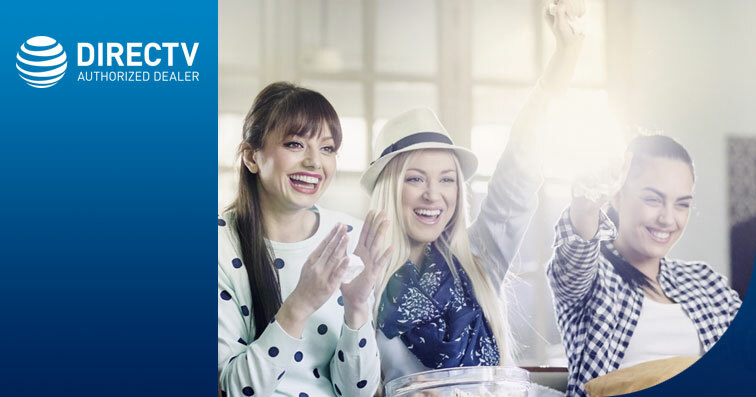 With the most full-time HD† channels and cutting-edge technology, DIRECTV takes your entertainment experience to a whole new level. See why DIRECTV is the #1 satellite TV service in the country. 235+ channels, over 100 in HD! All DIRECTV offers require 24-mo. TV agreement. $19.95 ACTIVATION, EARLY TERMINATION FEE OF $20/MO. FOR EACH MONTH REMAINING ON AGMT., EQUIPMENT NON-RETURN & ADD’L FEES APPLY.Price incl. TV Pkg., monthly service and equip. fees for 1 HD DVR & is after $5/mo. AutoPay & Paperless bill discount for 12 mo. New approved residential customers only (equipment lease req’d). Credit card req’d (except MA & PA). Restr’s apply. 250+ channels, over 105 in HD! 160+ channels, over 60 in HD! 185+ channels, over 80 in HD! 2018 season of NFL SUNDAY TICKET MAX included! 330+ channels, over 185 in HD!